Mumsy and daddy bear has never had K-BBQ before so the babies and I decided to find a place for them to try whilst in Brissy. 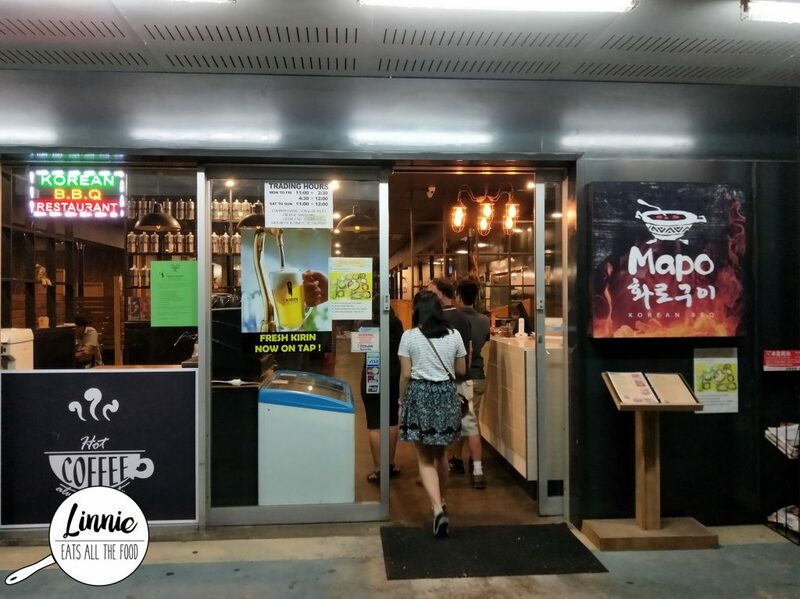 We checked out Mapo in Sunnybank and it was buzzing with people. Luckily we made a booking or else we wouldn’t even have a seat. There’s plenty of street parking so don’t fret about that. Once we were inside, we got to our table and ordered way too much food. 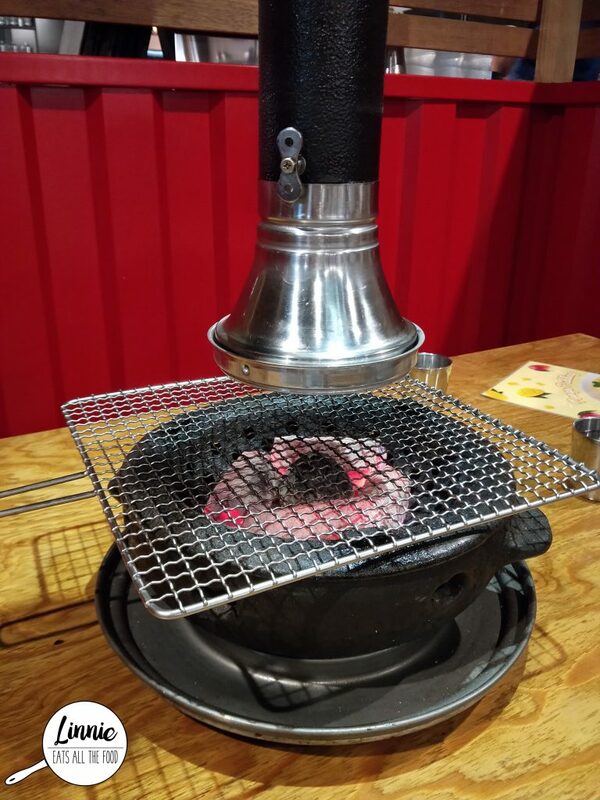 Of course we were going to have BBQ so the staff brought out the charcoal bbq. 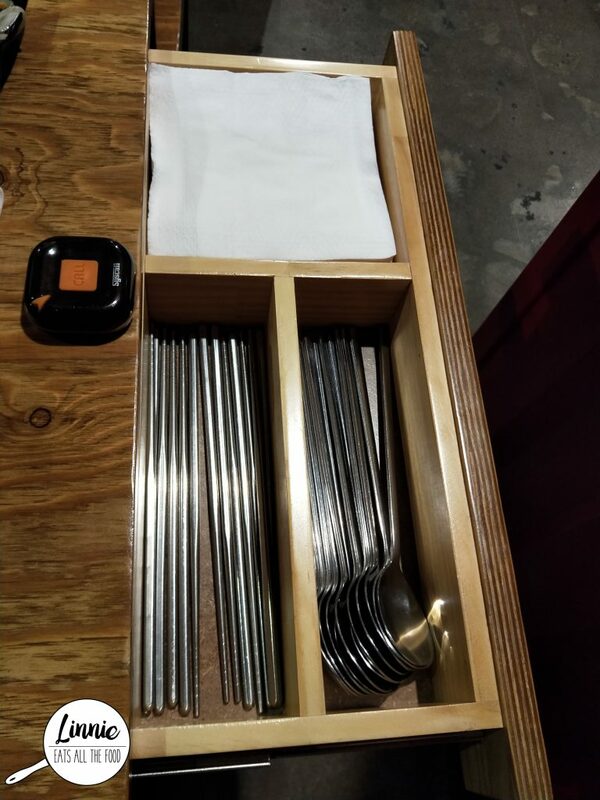 We found the chopsticks and serviettes hidden away in a little drawer at the edge of the table. With every BBQ you get sides which are of course complimentary re-filled. The lettuce though, they were charging $3 for every 100g if you run out. For the BBQ we got the Mapo Combination which was $70 for approximately 3-4 people. It included wagyu chuck eye roll, marinated beef short ribs, brisket point end, pork belly and marinated pork ribs. 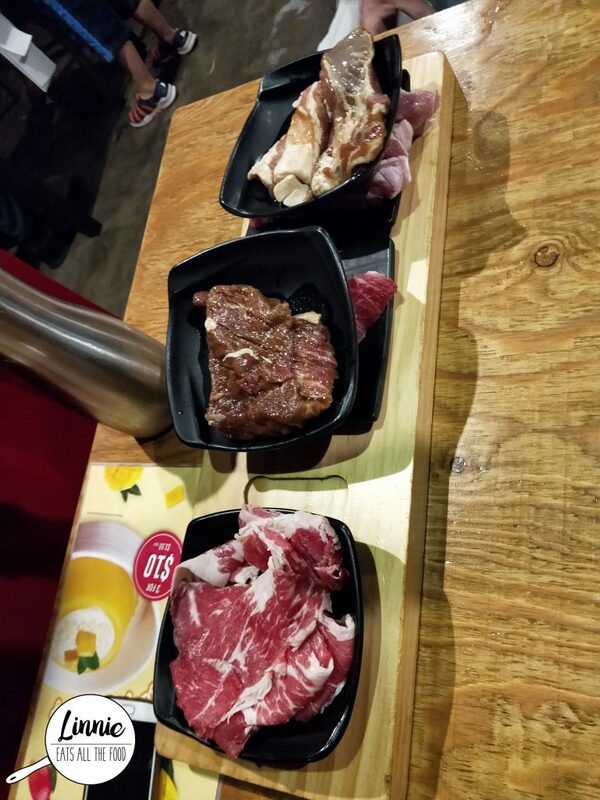 The meats were so fresh and tender and were very good quality. The marinated meats were fantabulous and mumsy bear and daddy bear smashed them all. 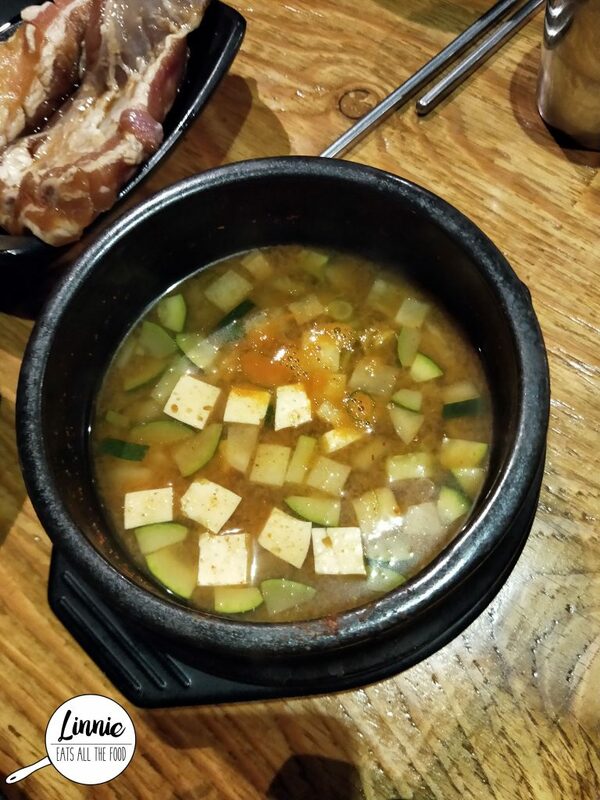 With every BBQ set comes a complimentary tofu soup which was very refreshing and not at all spicy. 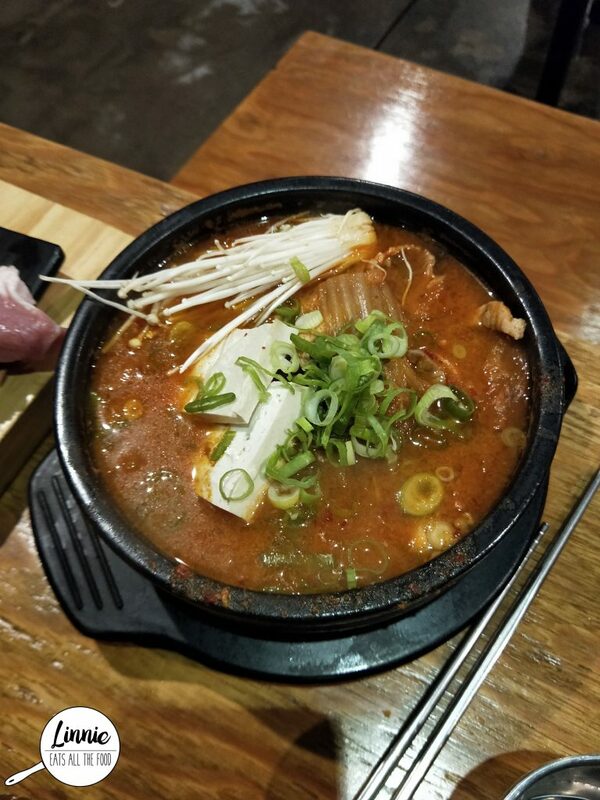 I am a huge fan of kimchi stew and boy oh boy was this super duper spicy. 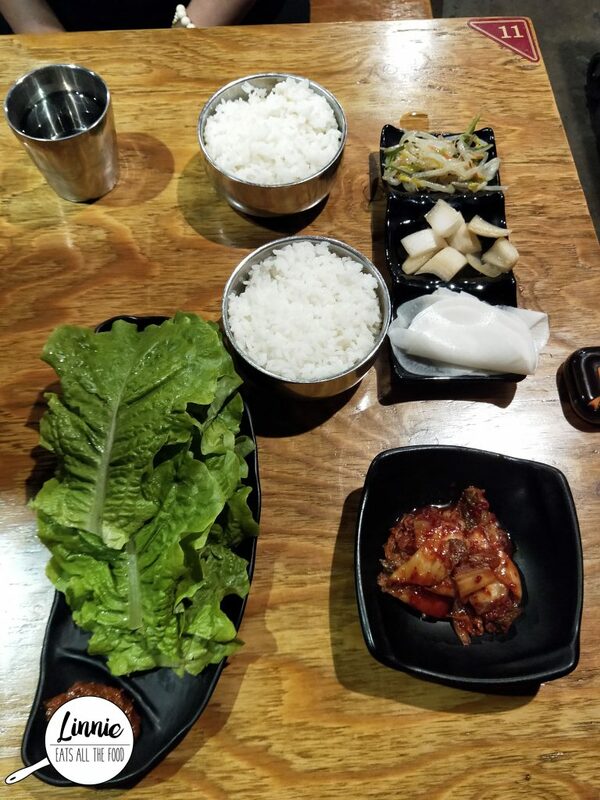 It was a touch on the salty side so I’d recommend you eating it with rice if required. It was full of flavour with a generous amount of pork belly in it. 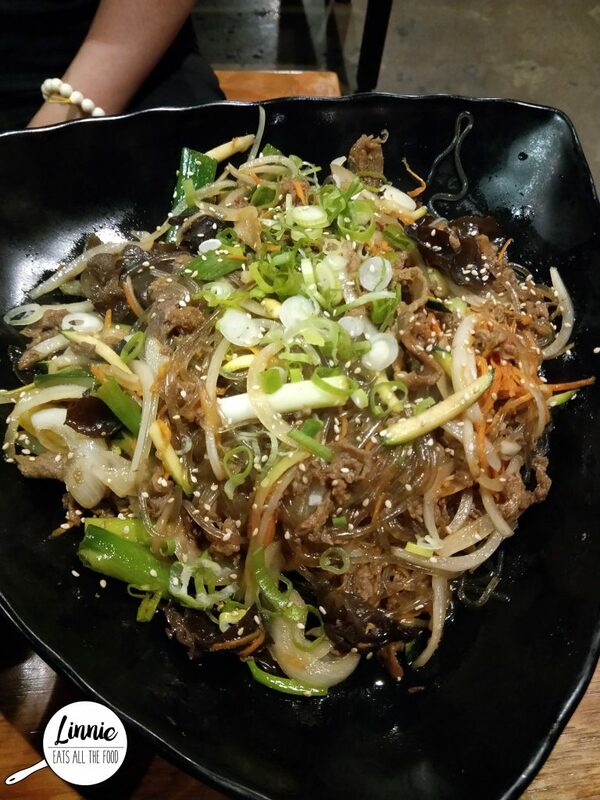 My absolute must have korean dish at any korean restaurant, JAP CHAE!! This version had so much meat and veggies in it that I couldn’t find any noodles in there. The flavour was great and it wasn’t overly oily but I would have liked a tad more noodles though. 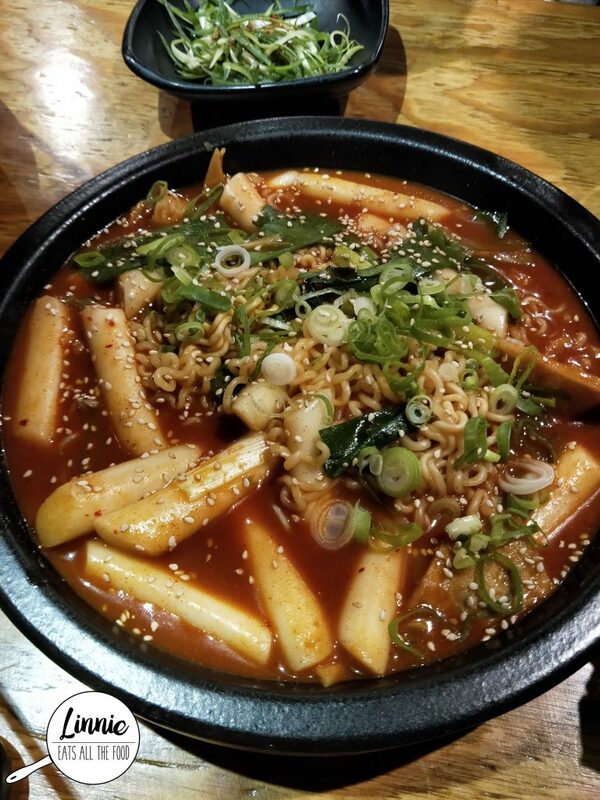 Finally, we got the spicy rice cakes with ramen noodles and this was so spicy I felt like I was getting punched in the face repeatedly (in a good way of course). Mumsy bear loved it and she loved the rice cake. It was smooth, it was soft and not too chewy. We all really enjoyed Mapo and I’m pretty sure there’s one in Melbourne too. The staff ran around trying to attend to every single customer and the best part? If you don’t finish the food, you can get takeaway boxes to bring them home!!! We love this place and will definitely be back here again.